I talk about how proud I am as a mom of my 3 little boys, but many also know I love to brag about the success of my 100+ big kids at Central. 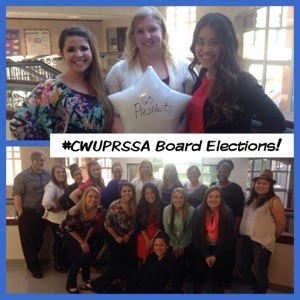 CWU PRSSA conducted their elections this week and the kids elected a great group of incoming seniors and one junior. As always, I am sad to see my seniors graduate but I look forward to their future success… Being more successful than me… Like any parent (or mentor) would want. 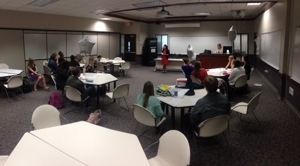 Congrats to the new board and thank you to the old board. This entry was posted in CWU, CWU PRSSA, Random!. Bookmark the permalink.